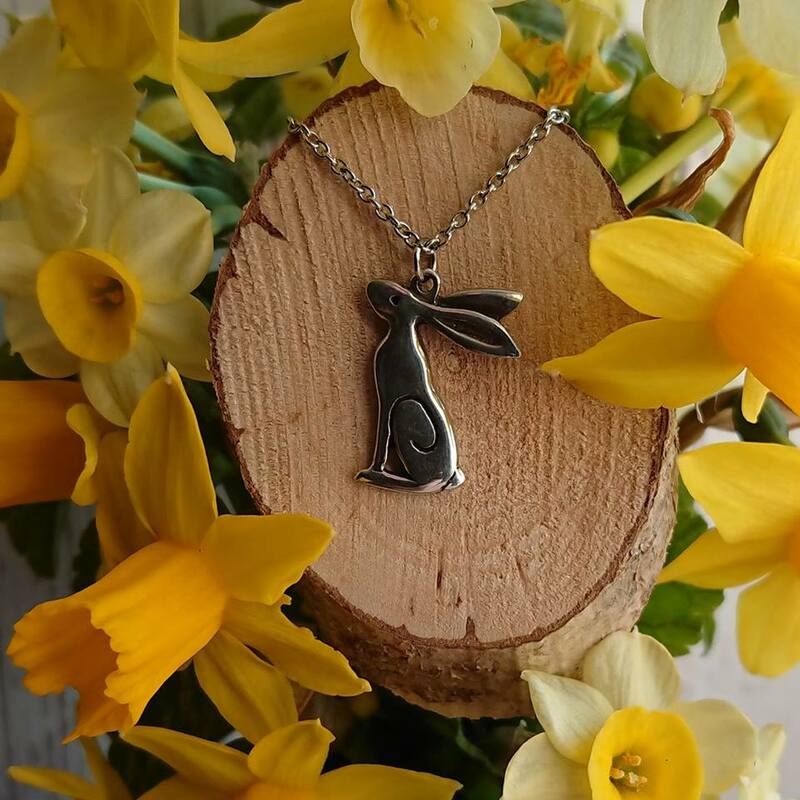 Stylish gazing Pewter Hare pendant and chain. These pendants were so popular at our recent pop events that i only have a limited stock of 6 to offer for sale. We are also offering them with free postage and packing. A perfect gift for a fellow country person who hold the magical Hare close to their heart. Please see our mini blog post about why I hold the Hare so affectionately in my heart.